Look, we live in a world with actual anti-semitism. It’s a fact that there are people out there who simply hate Jews and want them gone. Some of those people might even work in the White House. But, despite all of life’s little uncertainties, I can absolutely guarantee to you that the following sandwich is not anti-semitic. Okay, here’s the deal: Dubbed “The Swing Dance,” this sandwich was unveiled earlier this month, and is set to debut at the Minnesota State Fair later this summer. But, as it happens, “Swing Dance” wasn’t always what the sandwich was called. In its initial iteration, “The Swing Dance” was actually named “The Swindler.” And because it contained stuff like smoked salmon and cream cheese, some people pounced on the fair fare as, yup, anti-Jewish. The rollout of Jennie and Bryan Enloe’s new restaurant at the Minnesota State Fair took a weird turn after their controversially-named sandwich was announced Tuesday morning. 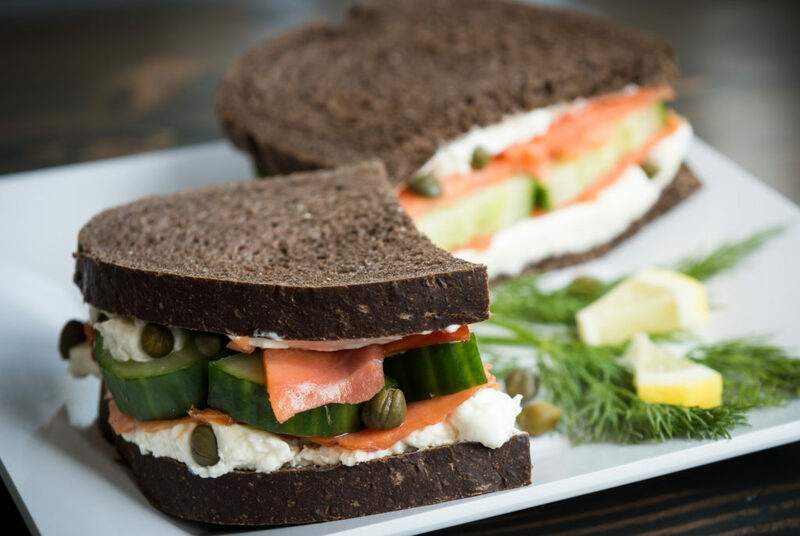 The Hideaway Speakeasy’s Jewish-themed sandwich of honey-smoked salmon, cucumbers, capers and cream cheese with fresh dill on pumpernickel was originally called The Swindler Sandwich. Now, there’s a few things to unpack here. Actually, the sandwich’s original name is part of the overall theme of Hideaway Speakeasy’s gangster-themed menu, which features dishes like “Mobster’s Caviar” and “Fall-Guy Breakfast Panini.” And guess what? Mobsters swindled people—it’s kind of their whole deal! This has nothing to do with denigrating any sort of ethno-religious identity, so much as it deliciously fetishizes booze-running crooks. Not everything is about us, folks! So, is it the pumpernickel? Because, that’s a German thing, named for a farting goblin. Which leaves, what? Capers? Cucumber? Cream cheese? Hardly the stuff of an anti-semitic conspiracy. Look, if smoked salmon and capers make something Jewish-themed, then I’ve got some bad news about the eggs Benedict brunch I had last week—and that’s named after an actual war criminal. Instead, we now find ourselves in a situation where the owners of the Hideaway Speakeasy are forced to issue statements apologizing for their menu, in the face of the avenging wrath of the organized Jewish community (To TCJewfolk: “Today I see it as Jewish. Before I saw it as an awesome sandwich. It’s a great combination. I didn’t mean to hurt anyone. I’m just trying to open a new business”) while said community risks looking like a bunch of clowns for getting their underpants in a bunch over a sandwich. Congratulations everyone. Great use of time and energy all around. All of which is to say this: If you’re in Minnesota in late August, head over to the State Fair, and order yourself a Swindler—yes, a Swindler—sandwich. Order it loud, order it proud, and hell, order one for me too.